Much has been made of Big Data in the past few years, but the reality is that it’s ‘actionable insight’ that has the greatest potential to transform organisations. Analytics could transform HR’s role in every part of the employee life cycle. 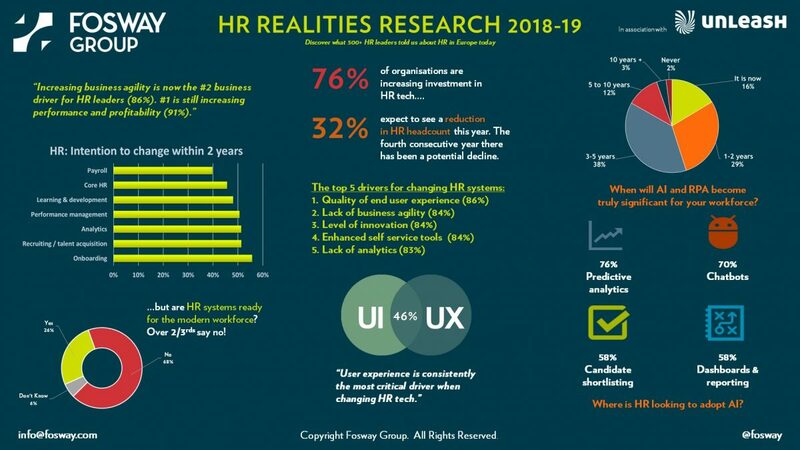 But there are challenges ahead around the expertise and skills within HR and the ability of HR technology providers to meet increasingly high expectations in this area. The fourth and final report in this series explores the increasingly important area of HR analytics. The acceptance of HR technology moving to the Cloud might have come a long way, but there are still numerous challenges for both end user organisations and suppliers to contend with. Data privacy and security concerns, residual internal resistance, existing IT systems and infrastructure can all create issues that slow down or even prevent a successful move to the Cloud. This third report in the series explores the research on how organisations are moving - or planning to move - their HR operations to the Cloud. An exploration of the nature of HR operations and the systems landscape across Europe. It should come as no surprise that the HR systems landscape is more fragmented than ever. This second report in the 2015-16 Critical Realities series analyses the data that demonstrates not only a lack of standardisation but the business challenges that arise as a result. And what organisations want as they take their HR solutions forward.